Patriarchal society research papers discuss societies in which men hold positions of power in greater numbers than that of women. Even though modern society is considered more progressive, there are still elements of a patriarchal structure in place. For example, in the United States, men still hold positions of power in greater numbers than women politically. There still exists a significant wage gap between the two genders as well as an educational gap. 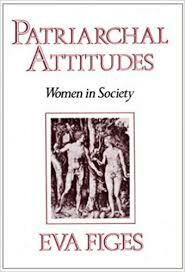 This suggests that the elements of a patriarchal society that values men and the success of men over that of women persists, even if not as overtly as was the case in the past. There are still iterations of patriarchal societies globally. For example, women in Saudi Arabia still have few rights and must submit to the men in their families, be it their husbands, fathers or brothers. In Afghanistan, it is only recently that girls were afforded the right to pursue a formal education. Patriarchal societies perpetuate generations of women that don’t have even the most basic of human rights. This is the reason that progressive societies have at least attempted to change such norms. Ibsen's A Dolls House - Henrik Ibsen published “A Doll's House” in 1879 and Nora, the protagonist, is a rebel against the constrictions of the patriarchal society in which she lives. Women in Asian Societies - Women in Asian societies have long been the underclass and subjected to economic, social, and legal discrimination. Feminist Thought - Each of these different schools of feminist thought, though, are concerned first and foremost with the experiences of women in an overly patriarchal society. Women Rights Movement - Women Rights Movement research papers examine the struggle for equality for women and girls in nations around the world. Paper Masters writes custom research papers on patriarchal society and discuss societies in which men hold positions of power in greater numbers than that of women.